Fortunately, I’m not afraid of hard work… or doing it all by myself. A chilly spell for a hothead. An efficient and exciting way to start a career in ice sculpting. The Astral Academy’s precious spell parchments are gone, and Carabel is determined to help retrieve them – and to have the adventure of a lifetime! Coming from a long line of Ice Wizards, Carabel’s childhood bedtime stories were populated by these heroic wizarding stalwarts. She yearns to follow in their footsteps, to leave her mark on the world just as her predecessors did. Now Carabel’s plan is to distinguish herself by collecting all the missing spells, while holding on to only those Nine Parchments which would help complete her spellbook. 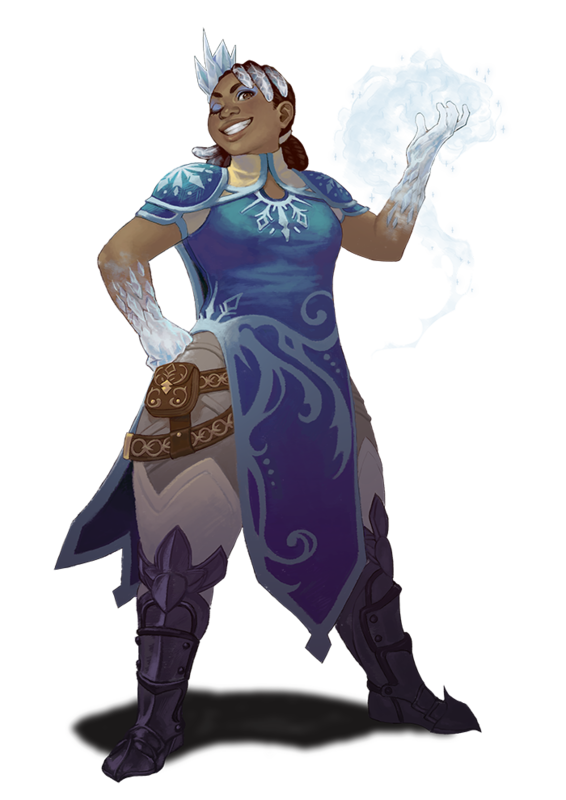 As for her companions’ spellbooks – The ice wizardess is quick to remind them that all the other spells are the Academy’s property. As she is among the most diligent and ambitious students of the Academy, Carabel is not afraid to speak up or stand out. Her know-it-all attitude can sometimes cause tensions, especially when combined with her reckless tendency to take risks. Carabel is keen on helping the Astral Academy retrieve the missing spell parchments, but her companions have their own reasons for joining the hunt. Stay tuned for the rest of the apprentice wizard introductions! Looks great! I’m really looking forward to this game. Looks like a nice proper frozenbyte title!